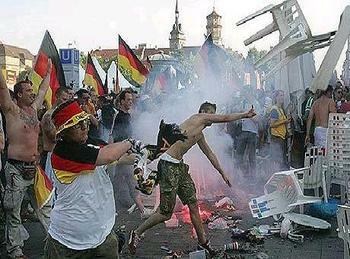 June 24 – South African police and organisers are concerned that England’s match with Germany in the round of 16 match at Bloemfontein on Sunday (June 27) could see German hooligans clash with English ones. 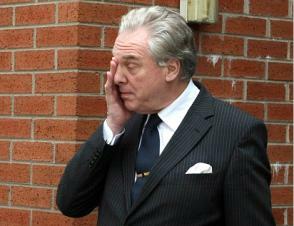 June 24 – Call them the new North Korea. 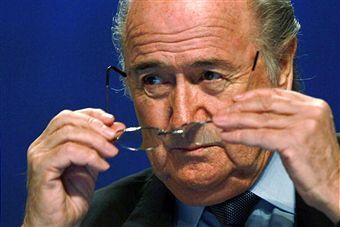 June 24 – FIFA President Sepp Blatter was today cleared of any wrongdoing after the release of a Swiss court finding which claimed that senior FIFA officials were involved in a major bribery scandal. 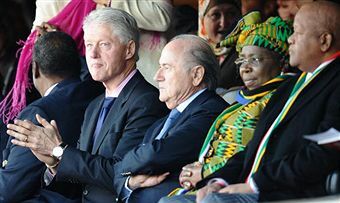 June 24 – Former President Bill Clinton has given the United States bid to host the 2018 or 2022 World Cup a massive boost by changing his travel plans so he can continue to support them in South Africa. 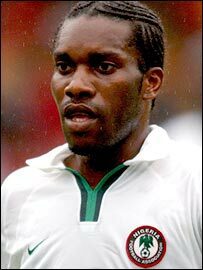 June 24 – FIFA President Sepp Blatter has refused to stop the Nigerian Football Federation (NFF) holding elections in August by a high-level delegation, including the country’s Sports Minister Isa Bio and former Super Eagles captain Jay-Jay Okocha, who claim that the govering body is corrupt. 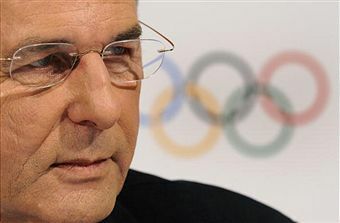 June 23 – Jacques Rogge (pictured) today welcomed the possibility of a bid to host the 2020 Olympics and Paralympics from South Africa following the success of the FIFA World Cup. 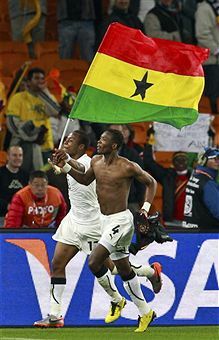 June 23 – Ghana kept the African flag flying tonight, securing passage to a second-round clash with the United States, victors over Algeria, on a frigid night at Soccer City. 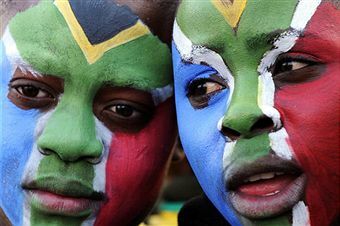 June 22 – The success of the World Cup in South Africa should encourage other African countries to bid for the tournament, Issa Hayatou, the President of the Confdederation of African Football (CAF) has claimed. 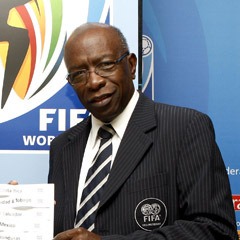 June 21 – The row over whether FIFA vice-president Jack Warner should be able to combine his role with a senior Cabinet post in the Trinidad and Tobago Government continues to rumble on even though he has been cleared to continue in both positions. June 21 – Perhaps it will be Cristiano Ronaldo’s World Cup after all. 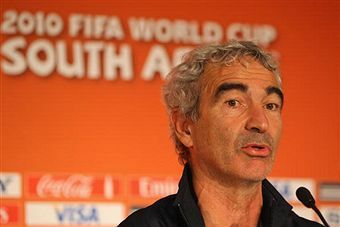 June 20 – Alas Poor Raymond…Just after the World Cup began, a headline in one of the South African supplements read, “Everybody Hates Raymond”. 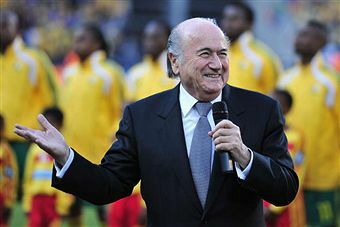 June 19 – FIFA President Sepp Blatter (pictured) has today been officially invited to Downing Street by Britain’s new Prime Minister David Cameron to discuss England’s bid to host the 2018 World Cup. June 19 – David Beckham has described the moment he was confronted by an irate fan who walked unchallenged into the England team’s World Cup dressing room minutes after a visit by Princes William and Harry. 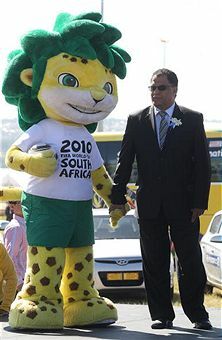 June 19 – Spare a thought for Danny Jordaan (pictured), the public face of the World Cup who campaigned tirelessly to bring it to South Africa.